*Author’s Note: There have been numerous reviews of Harry Potter to date, and Rowling has racked up many awards for her books. I’m going to try and stay away from writing things that can be easily found in other reviews from years past. Note that I am now nearly 24 years old and this is my first time reading Harry Potter, which was published when I was in elementary school. 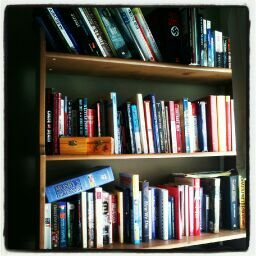 I remember my mother reading them, and then my middle brother. I was into other genres, and for some reason I had an unfounded stigma toward Harry Potter. I have seen the first four movies; I didn’t really keep up with the latter movies. But I didn’t know what was going on because I missed out on so much that was in the books! I wish that I had read Harry Potter as I was growing up, instead of waiting – I feel that I’ve lost a lot of the magic in waiting, and also in seeing the movies before reading the books. We already know from previous books that Harry has had a couple throw-downs with Lord Voldemort, and being at Hogwarts is his protection. From the last book we now know he has a very dedicated group of people, The Order of the Phoenix, as well as dedicated friends. The Order is working to ultimately bring down Lord Voldemort and thwart his plans for takeover. Things got very dicey in the last book, and many Death Eaters are now in Azkaban, while others are out. As if Harry didn’t have enough hanging over his head, he hears the eery prophecy when it breaks at the Ministry of Magic. Interestingly enough, Voldemort thinks Harry’s retrieved it. I was sure that’s what this book was going to center around – the great prophecy…. I noticed straight off in this book that Harry is exuding more thought processing than has been shown in previous books, and it’s due largely in part to the fact that Hermione and Ron aren’t as concerned with what Draco Malfoy is doing, where he’s going, and they don’t believe Harry when he admits that he believes Draco to be a Death Eater. And another very odd thing happens: Snape has been given the green light to teach Defense Against the Dark Arts, a post he’s been pining to teach for over 15 years, and rejected each year. He is also firm in his belief that Sirius’ death is Snape’s fault, due to Snape taunting Sirius’ inability to really contribute to the Order, being holed up at 12 Grimmauld Place. Harry is taking private lessons with Dumbledore and learns some interesting history about Lord Voldemort. Through these lessons he learns nothing he really doesn’t already know about Voldemort’s character, but he does learn extremely valuable information regarding Voldemort’s past. Meanwhile, Dumbledore is not getting along well with the new Minister of Magic, who was previously the head of the Auror department at the Ministry. And for good reason to, as we find out. 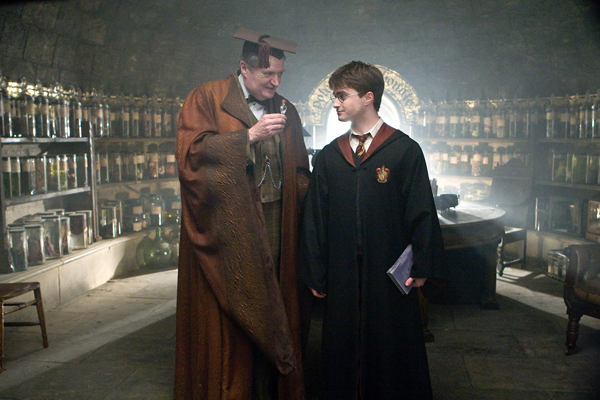 The new Potions Professor, Slughorn, is trying to collect student who have strong connections to powerful or famous wizards into an exclusive club….and Draco is quite trite that he’s not been invited to join and partake of all the activities. 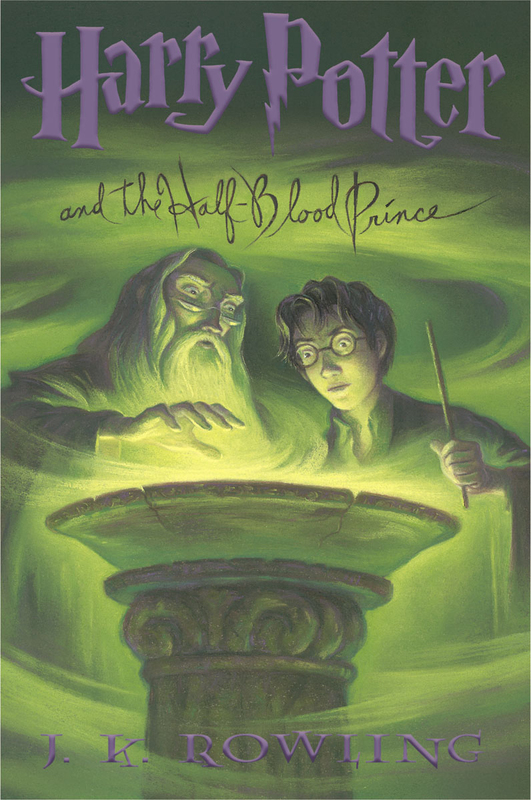 During a Potions class, Harry is assigned a temporary book that has additional notes for potion-making and even some made-up charms, with a scribbling on the back cover that the book belongs to the Half-Blood Prince. There’s no indication who this Prince is, but I immediately thought it was Voldemort – given that he’s always lamented and cursed his Muggle father. Harry, however, thinks that the Half-Blood Prince is his own father, James. Hermione is irritated that Harry follow’s the Half-Blood Prince’s annotations and directions and is suddenly excelling in Potions class – even surpassing Hermione. However, just as a rift occurred before between Ron and Hermione, another one does…over the same set of circumstances: matters of the heart. Ron and Hermione are secretly crushing on the other, but are at odds about it. Ron is quite mean to Hermione, who avoids being present like Ron’s carrying the Black Plague. And there’s another unsuspected crush going on for Harry, and he’s apt to keep it secret and quiet. And the icing on the cake for the first semester is Katie Bell being cursed by a mysterious necklace that she mysteriously came into possession of and needed to deliver to someone…at Hogwarts. The very same necklace Harry say Draco Malfoy looking at years before in Knockturn Alley. She gets sent to St. Mungo’s. This is quite a risky move, given the power the Minister of Magic holds and Harry’s shaky past with the Ministry. Even riskier, Harry openly admits that his is “Dumbledore’s man, through and through.” He has definitely declared his allegiance. Upon the return to Hogwarts, Harry begins religiously hunting for Malfoy on the Maurader’s Map, hoping to catch him up to something…but at times, Harry can’t find Malfoy on the map! How can he be leaving the grounds? Other revelations continue to pop up for the remainder of the book, setting Harry on edge and making him continually wonder and ponder – and possibly jump to conclusions. Dumbledore sets him what seems an impossible task, but it is the final piece of the puzzle explaining how Voldemort came to be what he is – and the secret to possibly toppling his crudely-built empire of power. This book will definitely leave you shocked, wondering and questioning just as Harry has always done. It will completely throw readers, and it leaves the fate of Hogwarts up in the air. I said of the last book that it was set apart from the rest of the series because it was setting some big things in motion – and this book has definitely shown a glimpse of that. I expect Rowling to go no-holds-barred for the final book of the series. If you’ve never read the Harry Potter series, I highly encourage you to do so. It is truly an enjoyable (and easy) read. Check out what Harry, Ron and Hermione will run into in the next book, Harry Potter and the Deathly Hallows.